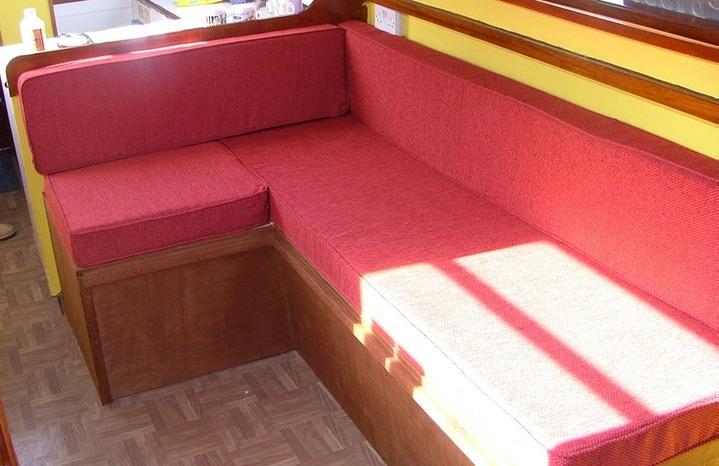 This is a bespoke seating area which quickly converts into a double bed. There are large storage areas under the seats. The Upholstery was custom made to fit the installation and the existing decor.